Films made with the help of the central and state governments, and National Films Division, among some other categories will also be exempted from GST. Lucknow: The Uttar Pradesh government will not charge the Goods and Services Tax or GST on tickets of films of which more than 50 per cent part has been shot in the state. 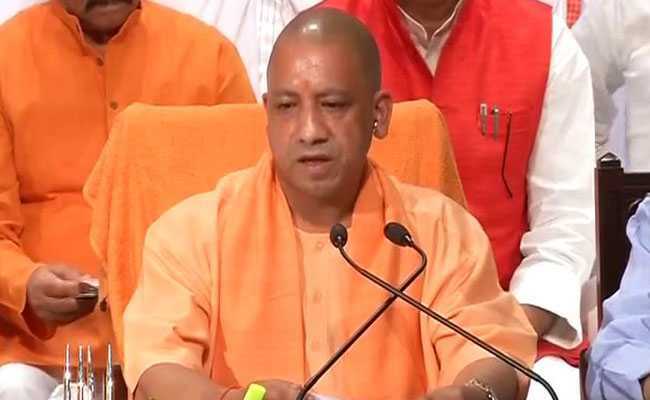 The decision was taken in a Cabinet meeting presided over by the Chief Minister Yogi Adityanath in Lucknow. The GST will not be charged from the viewers of the films which give a message to society and more than 50 per cent part of which has been shot in the state... the state government will bear it on its own, minister and spokesman of the government Shrikant Sharma told reporters. These movies will include the ones produced by the Children's Film Society, National Award winning best feature film, best Hindi feature film, best Indian film in international festivals and the ones based on social welfare, he said. Besides, films made with the help of the central and state governments, and National Films Division, among some other categories will also come under this category, the spokesman said. In another major decision, the Cabinet approved the proposal of making written examination the only criterion for recruitment of police constables in the Uttar Pradesh police force. "Some changes have been made in the rules for recruiting constables under which written examination consisting of objective questions and negative marking will be the only criterion for recruitment of constables," Mr Sharma said. The minister said the applicants will have to only pass in the physical examination. "Male candidates in the age group of 18 to 22 and female in the age group of 18 to 25 will be eligible for applying," he said. Around one lakh posts of constables are vacant in the state police which will be filled up in a phased manner, the spokesman said.